Things have been busy for the past year… and as such, this page hasn’t been updated for quite some time. So, I have trashed half of the pages contents….. AND… COMING SOON will be all new information. SICK is currently playing festivals and BLACK EVE has North American DVD distribution. There are a couple new features in the works and quite a few new awards in the past year, including a BEST DIRECTOR award for me for SICK. So by the end of 2013… this page will have all new content. SICK is finished. Every last bloody shot is colored and every last scream is mixed! SICK makes it’s world premiere Nov. 30th at the Projection Booth in Toronto as part of The Blood In The Snow Festival, showcasing some of the best Canadian Horror Films. 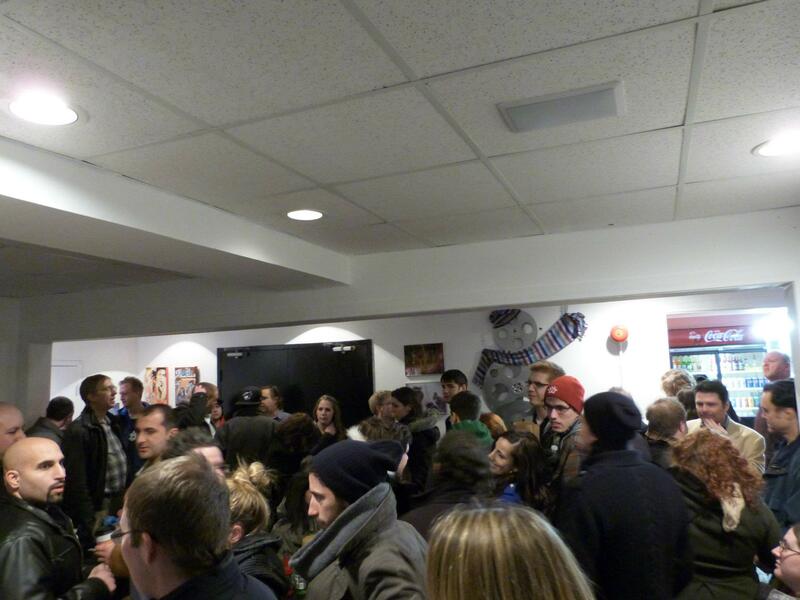 The best way to kick off 2012 is a screening of my feature Black Eve and my short The Devil Walks Among You, throgh FANGORIA, in downtown Toronto. And best of all it’s on Friday The 13th. Also, this month we are going to be in print in the #310 issue of Fangoria!!!! Dec. 9th 2011: Day Of The Deb! Many years ago, back when I was a teenager, I watched any horror film I could get my hands on. I learned early on who Debbie Rochon was. There are many iconic names in horror, with Vincent Price probably being the biggest. Vincent Price is horror royalty. And up there with him is names like Bela Lugosi, Boris Karloff and of course THE scream queen, Debbie Rochon. And this past week, Debbie flew in to Toronto (for the first time ever) so she could be in my latest film. It was an honor and a blessing to be able to meet her, have dinner with her and discuss movies with her. And of course make a movie together. She is absolutely brilliant and such a joy to work with. Debbie Rochon and I brainstorming. Nov. 24th 2011: BACK FROM THE DEAD!!!! Ladies and gentlemen, after a couple weeks of shooting, my newest feature is in the can. It was an amazing experience and with the limited time I have as I enter into post production, I am trying to find time to update this site. And not to mention, post vfx are done by Derek Grime (Fight Club, Bride Of Chucky) And Fight Choreography is done by Tommy Chang (Xmen) All this equals one thing… One Helluva great horror film. It has been my honor working with all of these people and making it happen. Oct. 22nd 2011: Where have I been? Where have I been? I’ve been around. And to say busy is an understatement. But that is a good thing. The reason I am not on here updating is because of all the BIG things going on. SICK goes to camera in 10 days!!!! Very busy with pre production with the AMAZING team that has come together for this film. It’s going to be EPIC. More to come on this soon, but I PROMISE this is going to be huge!!!!! In the meantime, BLACK EVE had it’s first official screening in Buffalo, NY at the Buffalo International Film Festival. 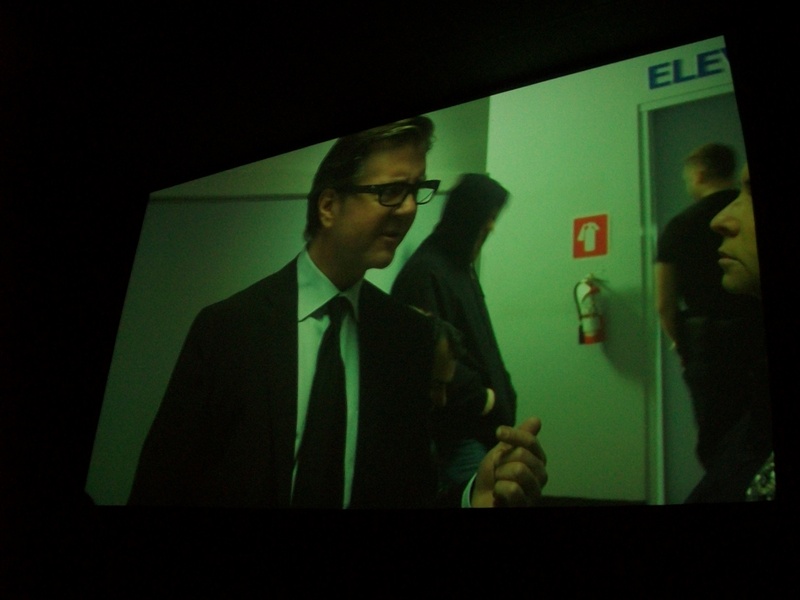 (A couple pics below) And has a special Devil’s Night screening in Toronto at The Toronto Underground Cinema. Apologies to all for not having more up here sooner. But things have been busy. Yes, BLACK EVE is done and submitted off to some film festivals. THE DEVIL WALKS AMONG YOU is also in it’s final stages of being completed and we are well underway in pre production for SICK. More info to come soon on all this. Social Media is one of Indie filmmaker’s best friends. It allows us to get our films noticed. So be sure to like the page. June 8th 2011: the sounds of BLACK EVE. However this time around the majority of the music comes from the ongoing Halloween party in the film. Ryan made sure to round up the best fitting music for the film. Taking from multiple genres all over Canada and the USA. May 22nd 2011: Spread The SICKness. The new Zombie film SICK, going to camera in October, now has it’s leads. From day one Ryan had Veronika London in mind for one of the roles, having worked with her before on slasher film BLACK EVE. The creative team held multiple days of auditions for remaining three principal roles and have found an amazing cast. I am very excited to announce that A NEW DESIGN won best foreign Origins Feature at the bare Bones International Film Festival in Oklahoma. It’s now back to post production on BLACK EVE and pre production on SICK, but it was great to take the week off and drive 22 hours to Oklahoma and win! Huge thanks to the festival for having us and for everyone involved in the film. There were also a lot of other great films at the festival too. So much talent out there. Support Independent filmmakers! 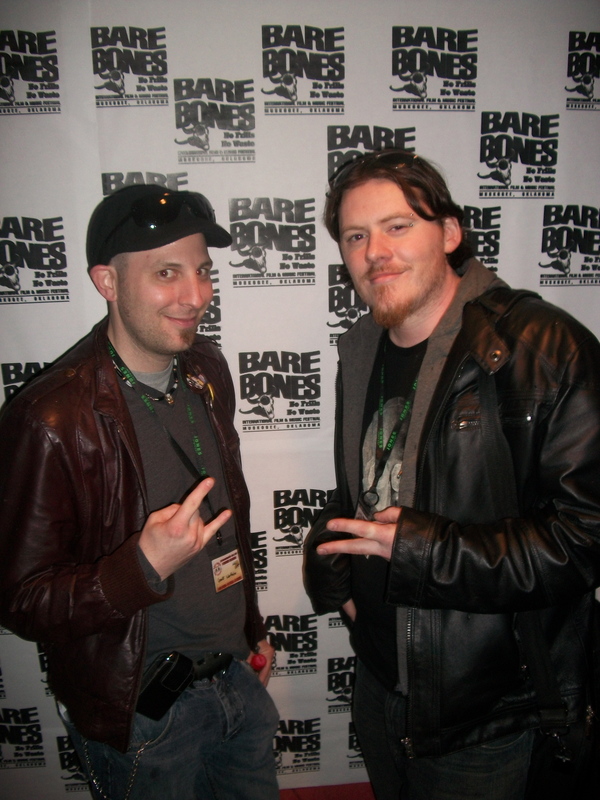 Geoff W. & Ryan M. Andrews at the Bare Bones International Film Festival. 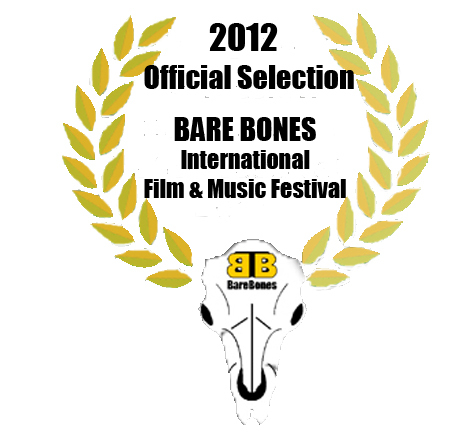 Two weeks away from the Bare Bones INternational Film Festival, in Oklahoma. Auditions for SICK begin next week. BLACE EVE is currently a bloody mess!!! Thanks to the vfx Derek Grime. With credits including FIGHT BLUB, BRIDE OF CHUCKY, CUBE, THE KENNEDY’S, the man sure knows his stuff. BLACK EVE is looking even better thanks to him. March 28th 2011: The schedule is in for the 12th annual Bare Bones International Film Festival in Muskogee, OK. Both A NEW DESIGN and BEHIND CLOSED DOORS will be screening Saturday April 30th (starting at 7pm) at Civic Center C.
If you are in the area, please stop by to support great indie filmmaking. This is where the passion is. March 21st 2011: We are pleased to announce that A NEW DESIGN and BEHIND CLOSED DOORS are not only screening next month at the Bare Bones International Film Festival, but they have both been nominated for a couple awards. A NEW DESIGN is up for Best Foreign Origin Picture and Best Horror/Sci fi Picture and BEHIND CLOSED DOORS is up for Best Foreign Origin Short and Best Dramatic Short. SICK is also well under way in pre production, first round of auditions is going to be held in a few weeks. Please contact Jen Pogue at sickthemovie@gmail.com for information. March 19th 2011: Lots of re writes happening right now and prep for the film festival next month. Here is a link to the trailer for A NEW DESIGN (my feature that is screening at the Bare Bones International film festival. March 16th 2011: Blackguardism Creations/Ryan M. Andrews is please to announce that the feature film A NEW DESIGN and the short film BEHIND CLOSED DOORS are official selection of the BARE BONES International Film Festival next month is Oklahoma, USA. It will be a long drive, but well worth it. Movie Maker Magazine has rated this festival as one of the top 20 for emerging artists. Stay tuned for a trailer for A NEW DESIGN.